SPARKS, Md. 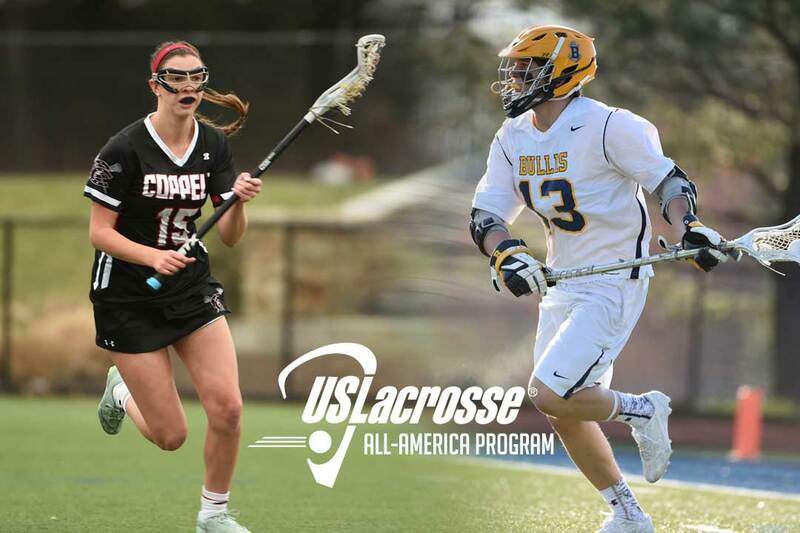 - US Lacrosse today announced the boys’ and girls’ players selected as 2016 US Lacrosse High School All-Americans and All-Academic Team members. Over 700 boys and 800 girls players were recognized for their efforts on and off the field. In addition to players named as All-Americans and All-Academic honorees, US Lacrosse selects winners of the Coach of the Year, as well as the Bob Scott Award for boys and the Jackie Pitts Award for girls. These awards recognize one player from each area who goes ‘above and beyond’ in service to their team, school, and community. The US Lacrosse Men’s & Women’s Game Coaches Subcommittees oversee the selection of the awards, which are administered locally by Area Chairs. Selections are based on voting by coaches within each geographical area. Note: Some local areas have not yet reported their selections and are not included in the All-America and/or All-Academic listings. Entries will be added as the selections are received. Areas With Missing Info (Girls): Alab-Miss, Eastern Mass, NJ South, NY-Long Island. Areas With Missing Info (Boys): Alab-Miss, Calif-Northern, New England-Western, North Carolina-Private, Ohio-North Coast, Tennessee, Washington State.